As more customers turn to the internet for purchasing, the consumer market is fast evolving to eCommerce solutions. More businesses are expanding online; products and services now available via the click of a button or the swipe of a finger. Studies have even shown that online customers are more loyal than those who shop in-store. For business planning to enter the eCommerce space, the process can be a bit overwhelming. While selling online provides countless opportunities for brands and retailers, businesses that seek to take advantage of the benefits that eCommerce offers need to address some critical questions to improve their eCommerce strategy and boost their business. One of the biggest mistakes that new eCommerce startups make is failing to personalize their user experience. It’s important to take a user-oriented approach if you want to engage customers and drive brand loyalty. To connect with online shoppers, you have to appeal to a specific segment of customers interested in your products, and this is best done by ensuring great user experience. According to Paymotion.com, a turnkey eCommerce solution provider, personalizing your eCommerce user experience makes it easier for you to identify exactly what your target customers use, like, do and where and how best to engage with them. 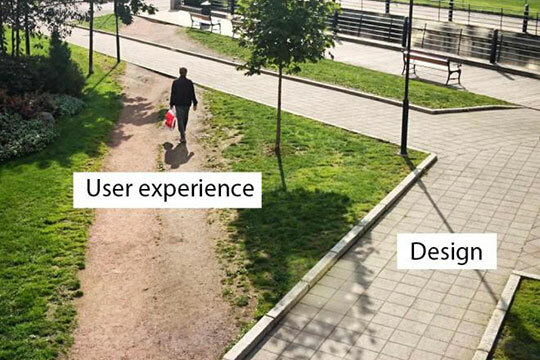 Remember that your end customer is the shopper, so focusing on user experience is key to breaking even. Customer service is the foundation for success in any business. When starting out in the eCommerce sector, experts agree that customer feedback is critical to the development and growth of your business. Listening to customer opinions and analyzing feedback is crucial. While you may have the best eCommerce ideas and even have the best products, not everyone will be satisfied with what you offer or how you offer your services. Keep in mind that what you’re selling on your eCommerce site is for them. So, they’ll buy from you knowing what they need. To meet their expectations, you have to listen to them. Understanding customer feedback provides valuable insights to improve all aspects of your eCommerce business. One of the top drivers of eCommerce businesses today is social media. From Facebook, Pinterest, Twitter to Instagram, social media platforms are driving sales more than ever. Not jumping on the board could mean missing out on the massive opportunities that social media offers. Implementing a social media advertising strategy that is focused on improving engagement for your eCommerce business can be an effective way to drive traffic to your site. Social media also offers a great way to get word-of-mouth momentum started for your business. This is no doubt one of the best methods of launching a new eCommerce platform to success. Successful eCommerce brands agree that embracing appropriate channels like social media and listening to what consumers are saying can help you improve your eCommerce strategy. ECommerce companies cannot simply afford to disregard mobile users. More and more customers are using their smartphones to shop online. One thing is certain, the future of eCommerce lies in mobile shopping. The fact that customers can make purchases via their smartphone or tablet from anywhere and at any time. This makes the mobile key to achieving growth in eCommerce. Investing in responsive web design for your eCommerce site ensures that all potential customers enjoy the best user experience on your site, no matter what device they’re using. Mobile offers you an opportunity to appeal to a much larger market; especially in emerging markets where smartphone use is growing fast. 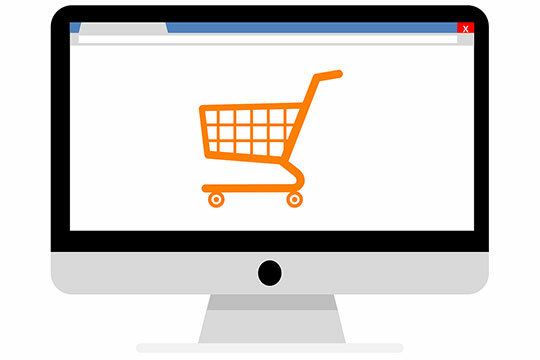 As many as 60 to 70% customers who visit your eCommerce website are likely to abandon their shopping carts. This is where most eCommerce businesses are losing money. Market research has shown that customers abandon shopping carts due to a number of reasons like prices, additional fees or unsatisfactory shopping experience. If a customer can find the same product on another site and get free shipping which you don’t offer, they will likely leave your site. To reduce the abandonment rate, consider reminding customers of what was in their shopping cart. Grab their attention with the right promotional message for your products. Send them discount codes and even hold their items for them. As the online marketplace evolves, businesses must take necessary steps to stay one step ahead of the competition. ECommerce businesses must listen to their customers, analyze their business performance metrics, conduct ongoing market research and stay up to date with emerging trends, technologies, and marketing strategies so as to achieve sustained growth.